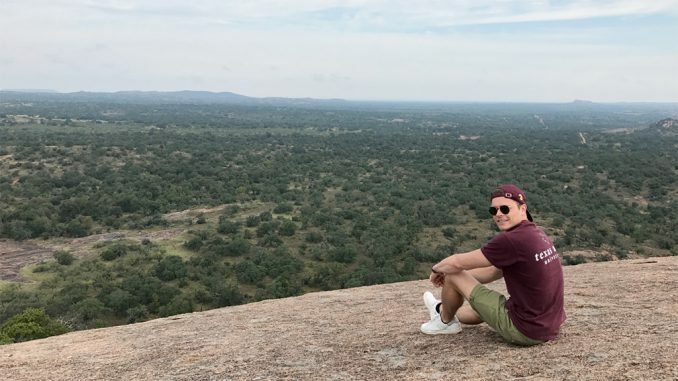 Kevin Lichtenfeld, Master Sports Business and Communication student at MBS, spent his semester abroad at Texas A&M University in College Station, USA. 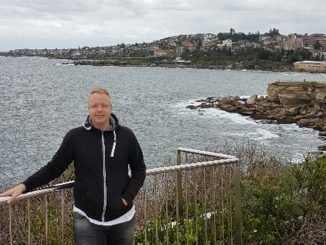 Here, he talks about his experiences. I selected Texas A&M University as my host university for my semester abroad in fall 2017 due to several reasons. 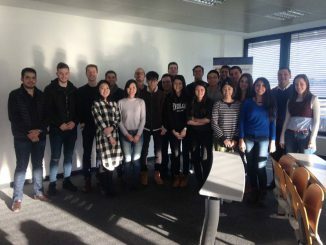 Primarily, I intended to choose a university that would fit my study program at Munich Business School. Since Texas A&M University enjoys a very good reputation and is well-known for its sports management program, it was a serious option right from the beginning. Furthermore, I wanted to experience the American college life as well as the sports atmosphere on and off campus. 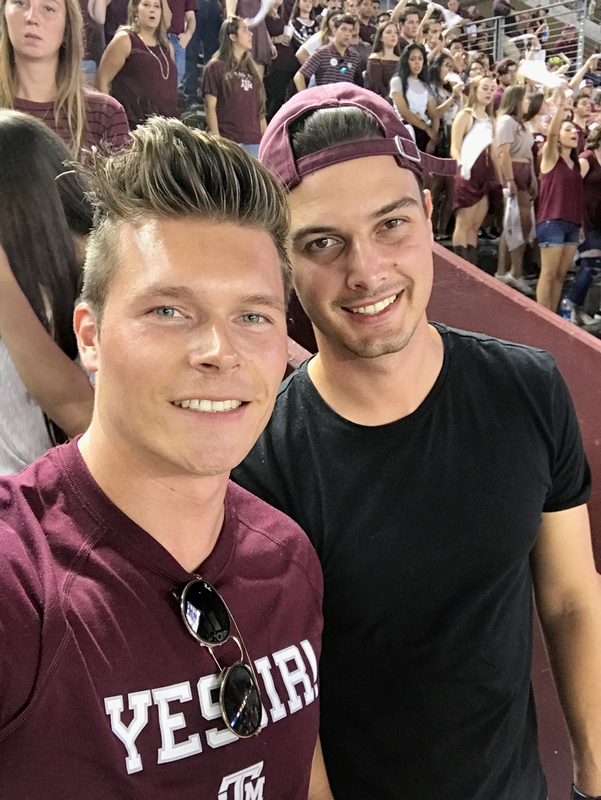 Kevin (left) with Jonas Adebahr, another MBS student spending his semester abroad at Texas A&M University. The American colleges differ in many ways from German universities, especially in terms of size, campus, and student involvement. Almost 70.000 students attend Texas A&M university, which made it a totally different and new experience for me. Furthermore, the campus is huge so that I even had to take a bus to see its whole size. 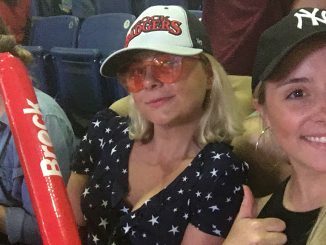 Student involvement was another reason as I am obviously very interested in sports and intended to get involved in different kinds of sports at my host university. Texas A&M University is famous for its sports involvement and offers – besides its various college teams – a recreation center on campus including a gym, basketball fields, football fields, and a swimming area. Sport enjoys a very high status in the USA and especially at Texas A&M University. The spirit on campus in terms of sport is incredible and makes everyone cheer for the various college teams of Texas A&M. The patriotism and the spirit are especially indicated through the color “maroon” every student at Texas A&M wears on a daily basis. The college life off campus was also a reason for me to choose Texas A&M as the city offers many student bars and clubs to socialize and to just have a good time. The most memorable event has been the American Football game between Texas A&M University and Alabama State. 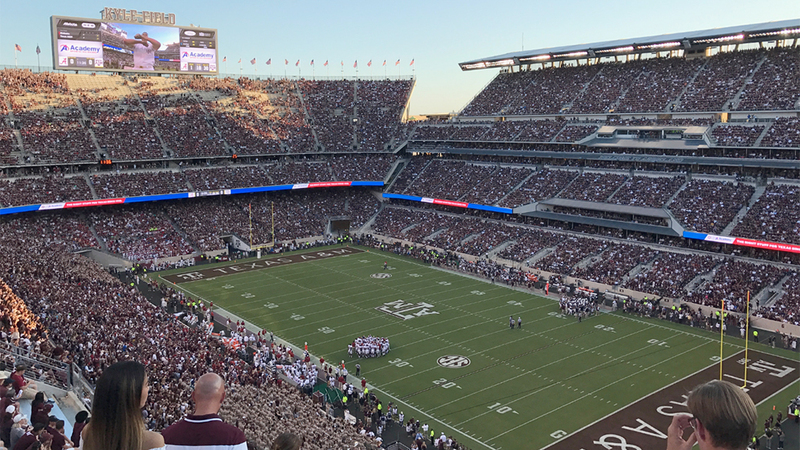 The football stadium of Texas A&M, called Kyle Field, has a capacity of more than 100,000 spectators and looks just incredible in terms of size and architecture. Alabama is considered the best college football team in the NCAA and is also the biggest rival of Texas A&M University within their conference called the SEC. Even though we lost the game, the atmosphere was great and I really enjoyed cheering for my university together with thousands of other Texas A&M students! Furthermore, I have visited all cities around College Station such as Austin, San Antonio, Houston, and Dallas! All cities are very unique and have their own special way of life! Kyle Field, home of the Texas A&M Aggies American Football team. If you are interested in the American college life and generally in sports, Texas A&M University is a great place to experience and to be a part of all that. If you intend to attend Texas A&M in fall for the football season, just make sure to purchase a ‘Sports Pass’ early enough (April), otherwise it will be sold out. A sports pass enables you to watch all home-games of the Texas A&M football team. You shouldn’t miss that! Furthermore, do not look for flights to College Station, but instead look for flights to Houston. Houston is only 1.5 hours away and it is cheaper to take the ground shuttle from Houston Airport to College Station. I took the plane straight to College Station and paid around € 400 more than I would have if I had chosen Houston as my final destination. In terms of the payment of the study fee, I would suggest you to open an American bank account at Wells Fargo close to campus. Transferring money from your American account to Texas A&M University will save you money since the university charges 3 % for credit card payments. I can just recommend you to take some trips to the bigger cities around College Station. 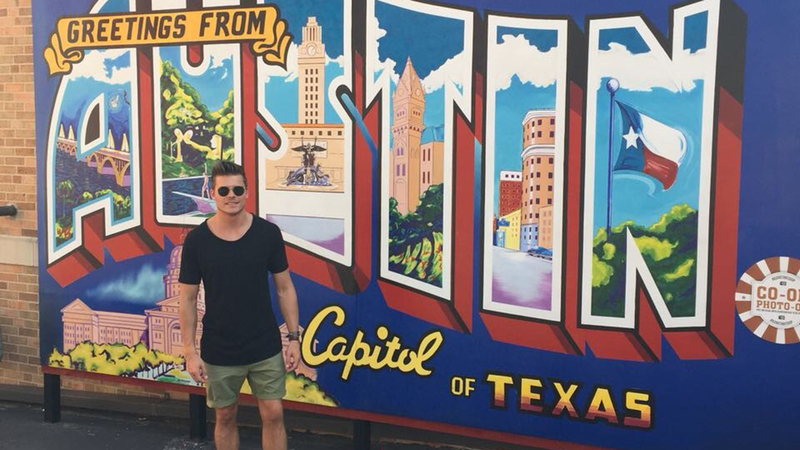 Especially Austin is a beautiful, creative, and very liberal city with many young people, cool bars, and arts.